While rummaging through my fridge the other day I found some crushed pineapple that needed to be used up. 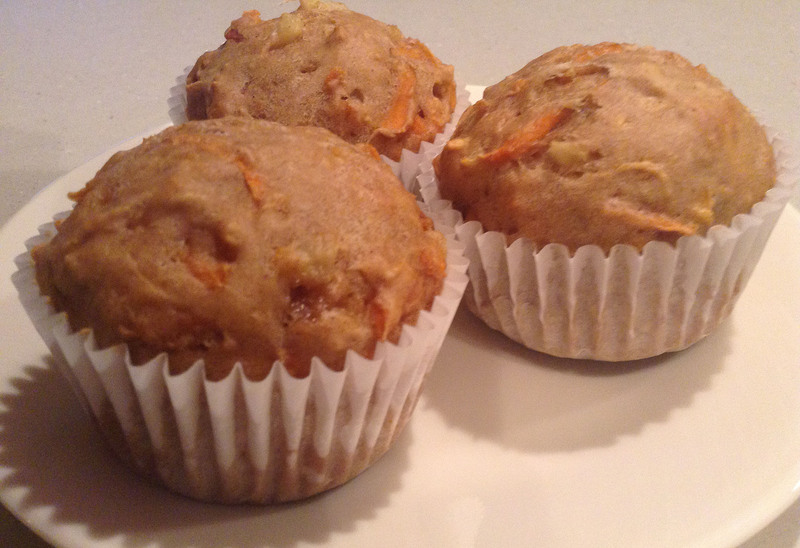 I also had some carrots so I decided to combine the two into a muffin. And of course I threw in some cinnamon because it’s one of my favourite spices! I think this is a very healthy muffin recipe as it contains little sugar. You can also substitute whole wheat flour for white flour if you want. If you’re looking for a healthier muffin recipe, I recommend this. Preheat oven to 350 F. Line muffin pan. Makes about 12 muffins. In a bowl, combine flour, sugar, baking powder, baking soda, cinnamon and salt. In a separate bowl, combine oil, egg, milk, carrot and pineapple. Add dry ingredients and mix until just moistened throughout. Scoop into prepared muffin pan. Bake in oven for about 15 minutes or until a toothpick inserted into the centre of a muffin comes out clean. Enjoy!